British Columbia rapper Madchild is proving himself to be something of a madman when it comes to work ethic. Following the release of last year's solo LP The Darkest Hour, he's set to spend a significant portion of 2018 on the road. 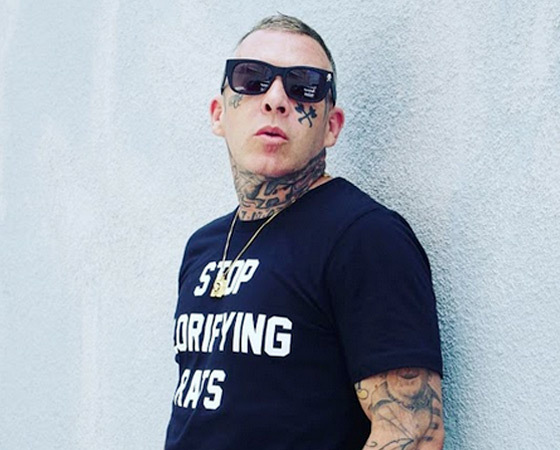 As you'll see by the near-endless list of tour dates below, Madchild will be travelling around Europe, along with embarking on a newly announced 40-date Canadian tour. It's a long, long list of shows that's truly impressive. In addition to the tour, Madchild will reissue his debut album Dope Sick on red and white vinyl through Suburban Noize Records on April 21 as a Record Store Day exclusive. Check out Madchild's full tour itinerary below.